What are you girls doing to pamper yourself on weekend? I usually love to go to hair saloon to get a hair spa or get my nails done. Im such a sucker for coloured nails, Im so used for it to be coloured all the time, I cant see it plain. Lol. I love gel polish because it lasted forever! Literary! You scratch it, bite it, wash it, it wont come off. 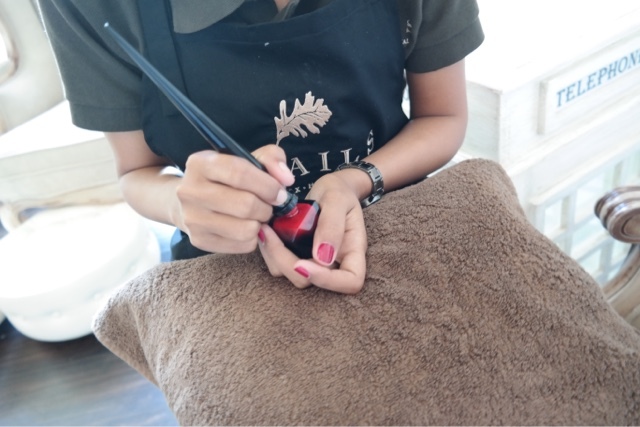 But only if you get it done at a place which treat your nails gently and follow the step by step accordingly. Also use great products. 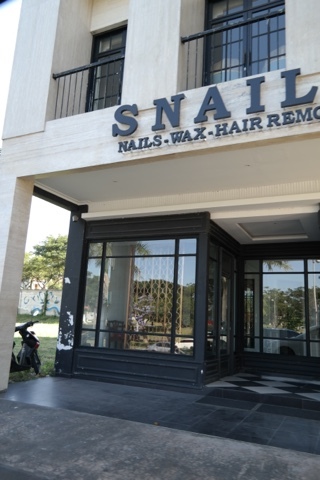 At this special time, I got invited to try some new products on newly launched nail parlour, Snails. As I walked in to their grand entrance, I felt a sense of comfort and homey. They did their interior so well. So special for this time, I didnt do my usual gel nails, I did a classic Christian Louboutin red colour. They carried the usual brands like OPI, gellish, etc, but also the branded one such as Louboutin, Chanel, and more! Staffs at Snails were so warm and welcoming. once I was seated in their comfy sofas, I got my hand and feet scrubbed. Ahh felt so good! Then applying the red Christian Louboutin colour to my finger. Handfie got caught on candid! Look how pretty my nails are! They really paid good attention to my nails and the applications were done so delicately. 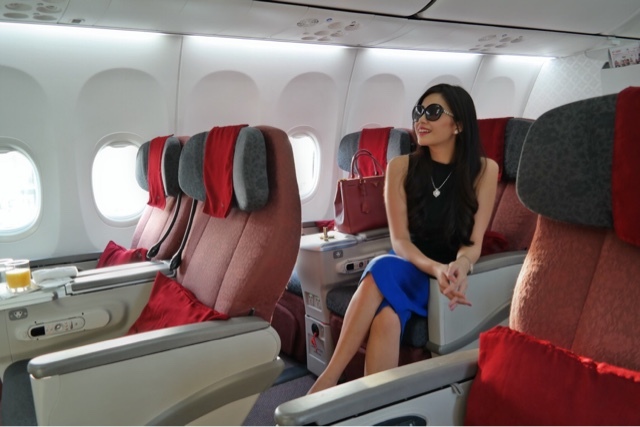 This weekend I got a chance to fly to Medan, Sumatera Utara just specially for my dentist appointment. 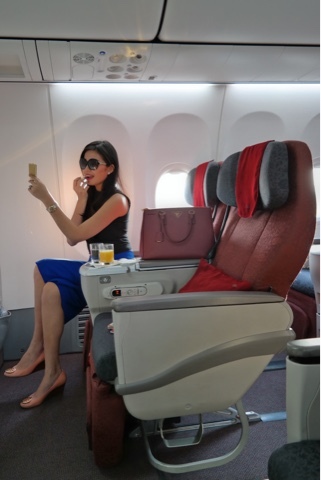 Served business class by Garuda Indonesia and enjoyed my whole 3 hours comfy flight! "Give the woman the right lipstick and she can conquer the world!" Girls Just Wanna Some Have Fun! 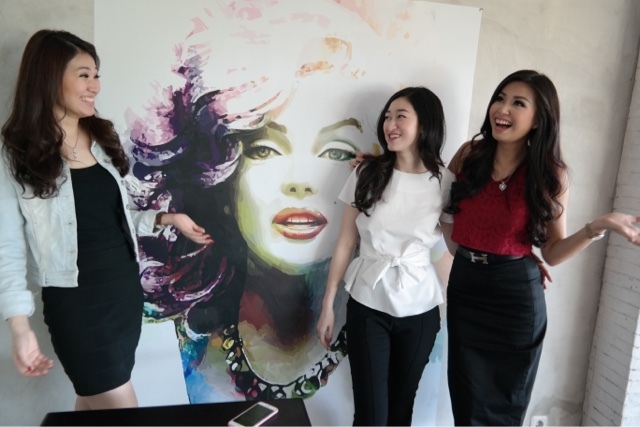 Meet some of my girlfriends who have also joined pageants. 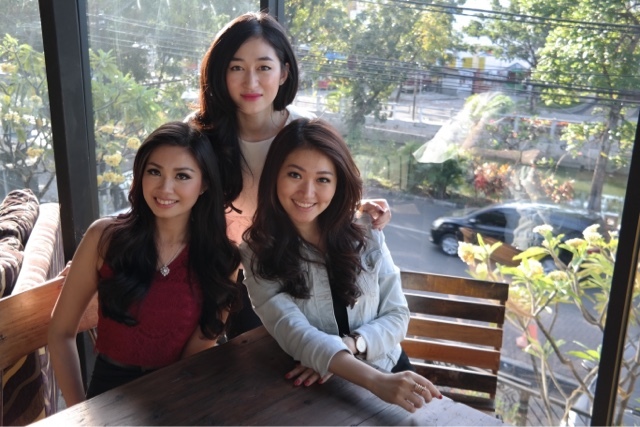 They have both represented Jawa Timur in Miss Indonesia 2012 and 2015 respectively. No matter who you are, how high is your status, or how pretty you are, at the end of the day, we are just girls. And girls just wanna have some fun!! Life is short, smile while you still have teeth!